Make changes to the set, making it more compact and presentable at the same time practical. It's obvious the first alteration needed is the way the growbed is mounted. So I cut the stand and have it on top of the flower pot. It is still a prototype, I need to make improvement to the stand so that it is secure. In the condition above it will be prone to tumble due to the very narrow pot area to have the stand placed on. Hydroton added and some guppies as the starter fish to get things booted up on this set. Plants will be added later, still figuring out what type to use. 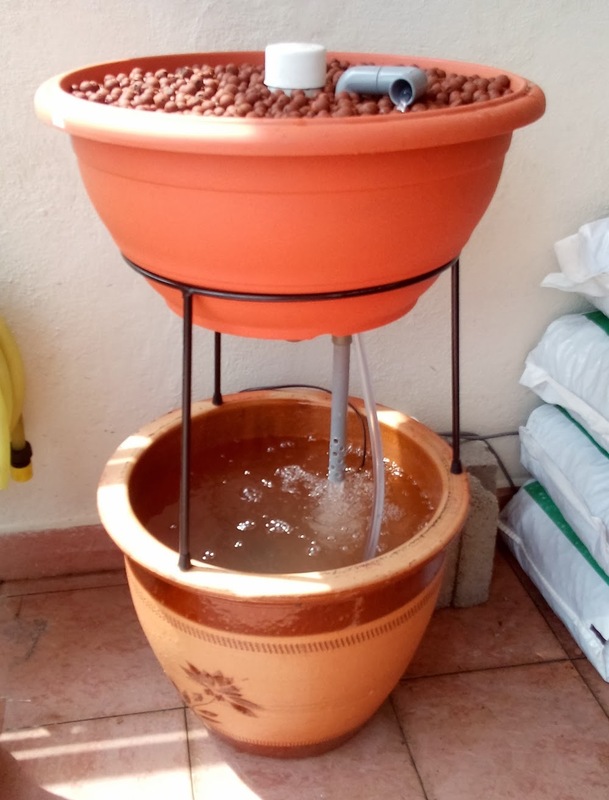 I am getting another pot which is bigger to pair with this growbed and make improvement on the stand by making some bracket to help secure it to the pot. 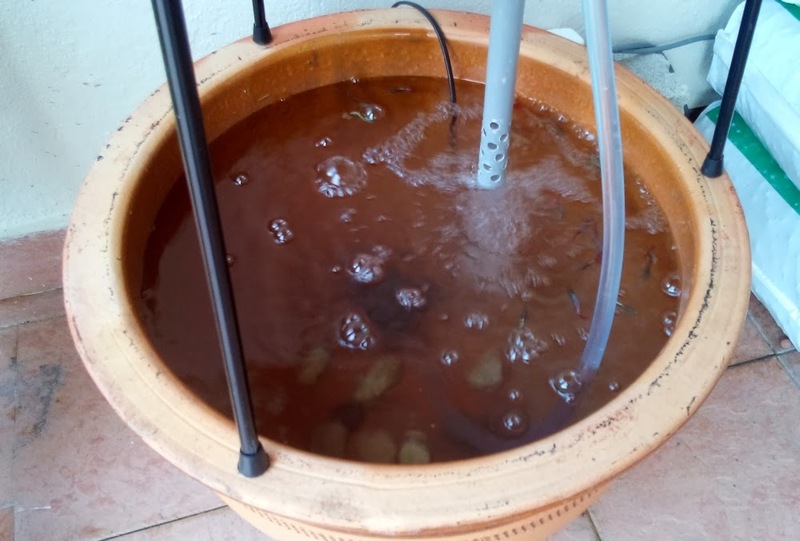 Guppies as above getting use to the siphon cycle, aeration and water cycling is good with the slightly redesign 20 mm "Bell Less" siphon. 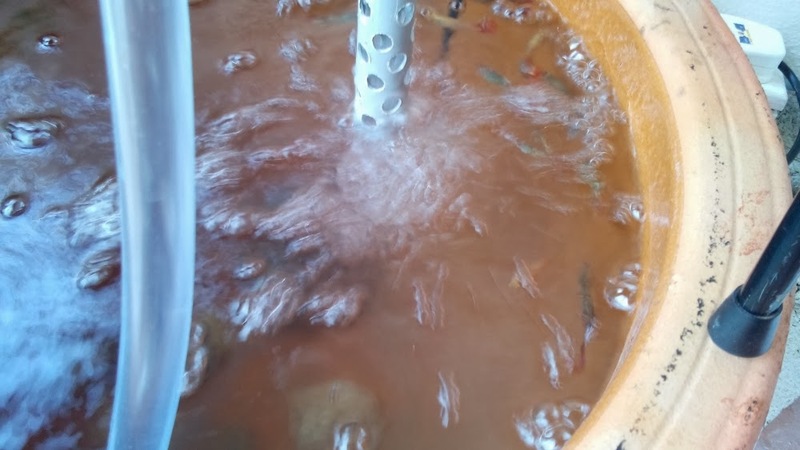 Water feed using clear PVC tubes from a small 500 liter/hr pump. Later on I will change the clear tube to a more opaque colour to ensure no algae growth within. This is a test unit so I need to see what happening to it as much as I can. The siphon down wash, plenty of bubbles and those holes on the down pipe help to aerate and reduce noise. I need to timed the cycle and probably make a walk through video showing the small set. I use the pump on the left above for this set, no particular brand recommended just that I have this in hand and might as well use it. 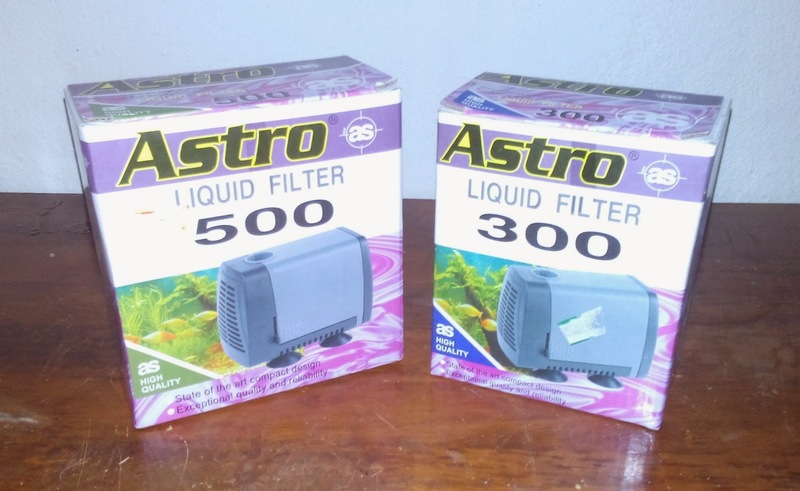 It is a very low cost pump something like seven dollar with low power requirements. 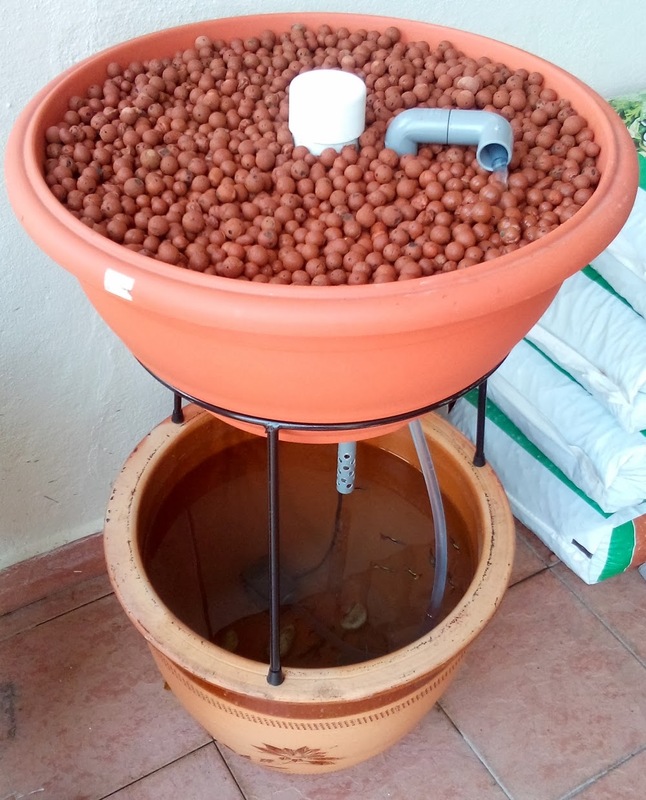 The other pump is the one that I use on my daughter's requested Micro Aquaponics set, for school "Show and Tell"
That's about it on this Ornamental Aquaponics, I will continue testing it and make improvement along the way. The most important is to address the safety issue, the reliability part of the set I can say it's good to go.